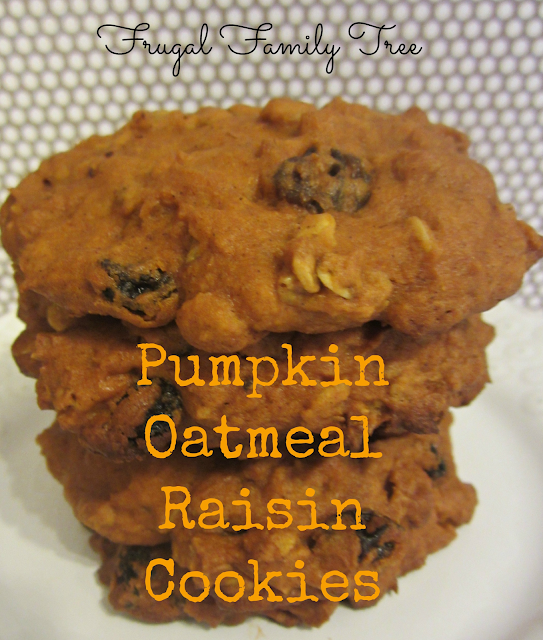 Oatmeal Raisin Cookies are one of my favorites, so warm and so good. Naturally when fall comes around and the fact that adding pumpkin to everything seems appropriate, of coarse these babies were going to be made. Pure pumpkin perfection. A simple recipe, but so good. Combine flour, oats, baking soda, cinnamon and salt in medium bowl. Beat butter, brown sugar and granulated sugar in large mixer bowl until fluffy. Add pumpkin, egg and vanilla extract. Add flour mixture you set aside. Stir in raisins (and or nuts). Drop about a tablespoon size onto prepared baking sheets. Bake for 15 to 17 minutes or until cookies are lightly browned. Cool on baking sheets for 2 minutes; remove to wire racks to cool completely.